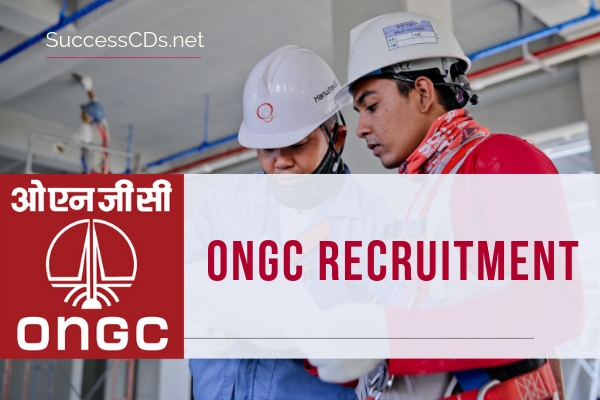 ONGC Recruitment 2018 – Oil and Natural Gas Corporation Limited (ONGC) has invited applications for the 115 Non-Executive Posts for Delhi and Dehradun. The eligible candidates can apply to the post through the prescribed format on or before 07th December to 27th December 2018. Oil and Natural Gas Corporation Limited (ONGC), a “Maharatna” Public Sector Enterprise, and India’s flagship energy major is engaged in Exploration and Production of Oil and Gas in India and abroad. A global player in energy, it contributes about 70% of India’s domestic Oil and Gas production. Currently, ONGC through its subsidiary ONGC Videsh is India’s largest Transnational Corporate with overseas investment of over 10 billion USD in 20 countries. (A1) Junior Assistant (Official Language): Graduate in Hindi with English as one of the subjects. Typing speed 30 w.p.m. in Hindi to be conducted on Computer and Certificate/ Diploma of minimum duration of six months in Computer Applications in the office environment. (A1) Junior Fire Supervisor: Intermediate with 6 months’ experience in fire services. Valid Driving Licence for Heavy Vehicles essential. Driving Test on Fire Tender/ Heavy Vehicle applicable. (W1) Junior Fireman: High School or Class X Equivalent Board Examinations with Fireman’s training of three months’ duration. Valid Driving Licence for Heavy Vehicles essential. Driving Test on Fire Tender/ Heavy Vehicle applicable. (A1) Junior Assistant (Materials Management): BSc. with Physics or Maths as one of the subjects with proficiency in typing 30 w.p.m. with Certificate/ Diploma of minimum duration of six months in Computer applications in the office environment. (A1) Junior Assistant (Personnel & Administration): Graduate with Typing speed 30 w.p.m. Certificate/ Diploma of minimum duration of six months in Computer Applications in the office environment. The selection of the candidates shall be done through a Computer Based Test (CBT) followed by PST/PET/Typing tests wherever applicable. The candidates have to qualify at each stage separately. Skill test shall be conducted for posts at SI No 3, 4, 5, 6, 15, 16, 17, 18, 19, 20, 21 and 23 for the posts of Dehradun. Typing test shall be conducted for posts at SI No 7, 8, 9 & 10 for the posts of Dehradun. Typing shall also be conducted for the post at SI No 2, 3 and 5 for the posts of Delhi. For Dehradun posts, CBT shall tentatively be held in Dehradun and Haldwani and for Delhi posts the test shall tentatively be held in Delhi. Candidates should indicate their choice of test centre in the online application. ONGC reserves the right to add, cancel or change any of the aforementioned test cities at its discretion. Details of the schedule of CBT shall be shared with the candidates separately. SC/ST/PWD candidates attending the written test and whose mailing address is beyond municipal limits of the test city will be reimbursed to & fro second class rail/bus fare of the shortest route from their mailing address. All Questions shall be multiple choice objective type for a total of 100 marks. There will be No Negative Marking in CBT. Total duration of the test shall be 2 hours. The test shall be in English & Hindi. PWD candidates shall be given compensatory time i.e. 20 minutes per hour (total 40 minutes). The scribe may be provided by ONGC to those PWD candidates in the category of Blindness and Locomotor disability who wish to avail one. For General! OBC candidates Rs 370/- as Registration fee (Fee- Rs 299.20/- plus Bank charges- Rs 60/- plus GST- Rs 10.80/- on Bank charges). Registration fee is non-refundable. SC/ST/PWD/Ex-Servicemen candidates are exempted to pay any fee. Registration fee can be deposited at any branch of State Bank of India in ONGC Power Jyoti A/C No 30827318409 of SBI, Tel Bhavan, Dehradun through Challan Form. Payment of Registration fee by any other mode is not acceptable and payments made through other modes will NOT be returned or refunded to the candidates. a. Valid Email ID (should be valid for a period of 1 year from the date of application). b. Mobile no (should be active and valid for at least a period of 1 year from the date of application). All information regarding exam shall be available on the website of ONGC- www.ongcindia.com. Candidates can download exam admit cards/call letter for skill test etc. from the site. ONGC will not be responsible for any loss of e-mail SMS sent due to invalid or wrong email ID/mobile phone no. or delivery of emails to spam/bulk mail folder. ← UPPCL Recruitment 2018 Dates, Eligibility, application process & more!